A new month brings a whole new list of things to see in Sheffield. There’s a large variety of live music on this month, varying from opera to classic rock. On Thursday 1st February, the winner of the ‘Best Opera Award’ at the Liverpool Daily Post Theatre Awards, Puccini Madama Butterfly, will be taking to the stage in Sheffield City Hall. It is regarded as one of the worlds most popular operas, and so if you’re a fan opera then it would be a real shame to miss (http://www.sheffieldcityhall.co.uk/events/Puccini-Madama-Butterfly). Only a short while after on Saturday 3rd February, the ballroom will play host to Goldsoul: Sheffield’s Big Soul Night. 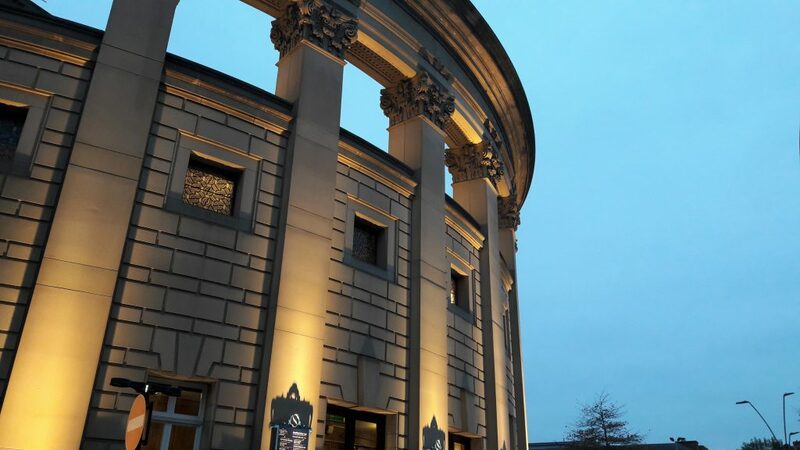 Put your dancing shoes on, because there are three rooms of Motown, northern soul and modern soul, playing your favourites all night (http://www.sheffieldcityhall.co.uk/events/Big-Soul-Night-Feb-2018). There’s also a few tribute shows this month, the first being The Classic Rock Show 2018: Guitar Greats. Taking place on Wednesday 7th February, this performance pays tribute to some of the worlds greatest guitarists, including Jimi Hendrix, Eric Clapton, Brian May and Pete Townsend to name a few (http://www.sheffieldcityhall.co.uk/events/The-Classic-Rock-Show-2017). On Friday 23rd February, Purple Rain: A Celebration of Prince will then take to the stage. They are an 8-piece live band celebrating the music and legacy of The Purple One himself, Prince (http://www.sheffieldcityhall.co.uk/events/Purple-Rain-2018). Lastly, the final tribute show of the month is The Big Pop Party: The Ultimate Pop Tribute Show. This tribute to modern pop features the official Olly Murs tribute with his live band, 1989 Taylor Swift tribute band, an Ed Sheeran tribute act and the UK’s number one Katy Perry tribute. It will be a fun-filled night not to be missed (http://www.sheffieldcityhall.co.uk/events/The-Big-Pop-Party). This month’s comedy comes from the Last Laugh Comedy Cabaret once again on the Friday and Saturday of each week. There’s food, drinks, comedy and even dancing to end the night (http://www.sheffieldcityhall.co.uk/events/Last-Laugh-Comedy-Cabaret-2nd-3rd-February). This month also see’s the hilarious Bill Bailey and Jason Manford take to the stage as part of their UK tours. Bill Bailey: Larks in Transit will take place on Friday 9th and Saturday 10th February (http://www.sheffieldcityhall.co.uk/events/Bill-Bailey-2018) and Jason Manford: Muddle Class on Saturday 17th February (http://www.sheffieldcityhall.co.uk/events/Jason-Manford-2018). Milkshake! Live ‘The Magic Story Book’ takes place on Sunday 18th February, and is sure to be a hit with the little ones, as the Milkshake! cast will be presenting this all singing, all dancing musical performance (http://www.sheffieldcityhall.co.uk/events/Milkshake-Live-2018). After this performance, in the evening, ITV’s The Chase star, Mark ‘The Beast’ Labbett takes part in Sheffield’s biggest interactive quiz, giving the audience a chance to win a share of £1,000. This will be followed by an audience Q&A with the special guest (http://www.sheffieldcityhall.co.uk/events/Beat-the-Beast). One of the UK’s leading concert venues, FlyDSA Arena, has a few huge events taking place this month. The first being on Saturday 10th February, when Power Maxed Arenacross Tour 2018 comes to the city. Seven rounds of intense world-class indoor motocross racing and freestyle motocross, will result in some claiming Arenacross glory (http://ow.ly/pLN730hJZSU). This adrenaline-fuelled event is then followed by the action-packed 5 Star Wrestling on Thursday 15th December, starring the world-famous WWE legends, Rey Mysterio and Rob Van Dam. This show will be aired live on the new channel, FreeSports (http://ow.ly/uiyo30hK0t5). I said it in last month’s blog, but Sheffield has some great theatres. One of which, The Lyceum Theatre, hosts two great family shows this month. The first takes place between Monday 12th February and Saturday 17th February, and see’s the hit TV show Fat Friends brought to the stage in a brand-new musical. The all-star cast includes Andrew ‘Freddie’ Flintoff, Sam Bailey, Natasha Hamilton, Jodie Prenger, Natalie Anderson and Kevin Kennedy. It’s a great show that would be a shame to miss (https://www.sheffieldtheatres.co.uk/whats-on/fat-friends). From the 27th February, the smash hit musical, Mamma Mia, will take to the stage of The Lyceum Theatre. It’s the ultimate feel good musical, with The Sunday Express giving it a 5-star review (https://www.sheffieldtheatres.co.uk/whats-on/mamma-mia). It’s another month full of wonderful things to go and see, so if you don’t have any plans this month then make the most of these great shows, come and spend some time in Sheffield. If you need somewhere to stay, then we have to different location both within a short walking distance from both theatres, and are even close to the City Hall. This entry was posted in Uncategorised on 1st March 2018 by Liam Cumiskey.